Back in February, S surprised me with some gorgeous birthday cupcakes. 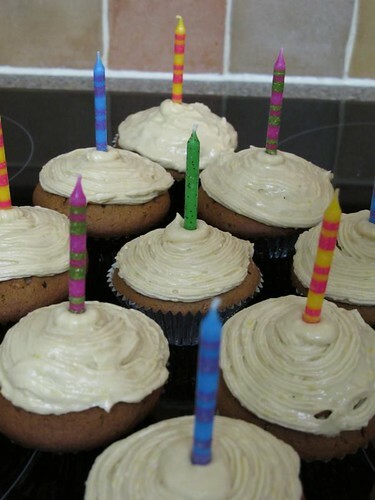 Over the weekend, I made him some gingerbread cupcakes with lemon cream cheese frosting. They are not nearly as photogenic as the ones he gave me, but I have been assured that they taste good and I get points for having baked them myself.